Maintaining your inventory is a must. There’s no better way to maintain inventory than a warehouse. A warehouse that’s customized to meet your size, location, and security needs will get your logistics management going in the right direction immediately. Organizing your warehouse, maximizing storage capacity, and training staff will speed up imports and exports—getting things from point A to B quicker than ever. Inventory will be properly managed so no goods are wasted. Steel drums, fiber drums, and containers can be used to help you store and organize goods. Warehouse-management systems make things much easier for you. Inventory can be correctly managed with very little work. Warehouse space can be easily saved. The combined effect is reducing the risk of overstocking and understocking, decreasing equipment wear, and improving worker efficiency and productivity. The railway is the best way to manage logistics and transportation. A rail-siding warehouse is located just off the railway’s mainline. Trains pull off the mainline and come straight to your warehouse. Your workers can unload and load goods quickly and easily. Delivered goods can be easily organized in your warehouse. Worker efficiency increases substantially. Advantages the railway has over truck shipping include 24-7 operation, delivery assurance, and larger delivery sizes. The railway is never stopped or delayed because of weather, accidents, or breakdowns. The railway also operates on all major holidays. Deliveries are always on time. You don’t have to pay workers while they sit around waiting for delayed deliveries. You save time, money, and frustrations when you choose to use the trustworthy railway system. Communication is a very important part of logistics management. Communication speeds up logistics-management processes and makes it much easier to know how to manage logistics. Properly planning every step of your logistics-management process is the first step. Hand picking and training your staff is the second. Once everything is in place, measures can be taken as needed to improve flow and communication. Regular meetings and logistics-management checkups are always a good idea. You and your team can discuss what does and doesn’t work. You can identify problems and then brainstorm to come up with ways to solve them. Data can be used to help you make great decisions and implement policies. You can track logistics data and use it to make wise, profitable business decisions. Sales, inventory, and purchasing data reveals a lot about your logistics. Creating a customized and organized report allows you to sit down with your team and make key decisions. You can change purchasing and shipping practices to maximize cost savings. You can make sure your orders are always correct, your stock is always sufficient, and you’re always gaining sales. Effective data use is what separates companies who are great at logistics management from those that are just good. 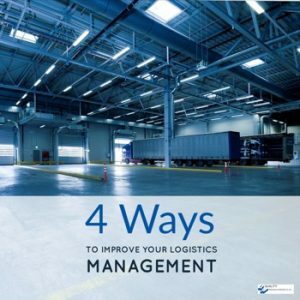 Maintaining your inventory in a warehouse, taking advantage of rail siding, communicating, and tracking and using data are four ways you can improve your logistics management. Using each will make your logistics-management process run much smoother. 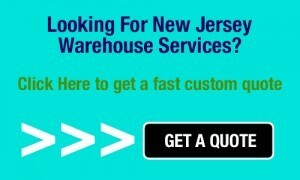 If you’d like more information, please contact Quality Warehouse & Distribution Co. Our logistics-management specialists are always ready to help.